Knee replacement is a surgical procedure to replace the damaged knee joint with an artificial component known as prosthetics. Inflammatory diseases such as osteomalacia, osteomyelitis, and osteoporosis could be the cause for the knee joint’s damage. This surgery is suggested for those patients who are suffering from either a severe inflammatory disease, or have a severe knee injury, and also when all the other treatments such as weight loss, exercise, physical therapy, medicines and injections are unable to relive the knee pain associated with arthritis. Different inflammatory diseases of bones have harmful effects on the joints (knee, shoulder, and hip), especially the ginglymoid joint (of the knee). Degenerative joint disease (Osteoarthritis), is a chronic condition that usually affects people over the age of 65. It might cause the breakdown of joint gristle (of the knee) and the adjacent bone within the knees. Rheumatoid Arthritis is a chronic inflammatory disorder that affects the joint linings, which results in swollen and painful joints. It might cause bone erosion and joint deformity due to the inflammation caused by it over a long period of time. Traumatic inflammatory disease of the knee is a result of an injury or fracture, where the gristle of the knee is harmed. The goal of total knee replacement surgery is to relieve the patients from knee pain, improve the quality of their life and maintain or improve the patient’s knee function. Partial knee replacement is another surgical procedure where only a portion of the knee is resurfaced, unlike in total knee replacement. This is usually suggested when only one part (component) of the knee is damaged due to osteoarthritis but is generally avoided in the case of rheumatoid arthritis because more than one compartment of the knee is damaged in this. It is considered good for both young and older patients as it offers the opportunity to preserve more bone in case it needs to be treated again in the future for younger patients while providing less risk of bleeding and less pain for the older patients, making the operation to be a little less stressful. When only one part of the knee is damaged due to arthritis or any other inflammatory disease, then partial knee replacement surgery is performed in order to remove the damaged tissue and bone in the knee joint and is replaced with an artificial component known as prosthetic. This way, the rest of the bone of your knee can be preserved. A medicine will be given to you before the surgeon makes an incision to block the pain. It could either be a general anaesthesia due to which you will be asleep and won't feel any pain during the procedure or you will be given a regional anaesthesia (spinal or epidural), which will make you numb below your waist and won't be able to feel any pain during the procedure. The surgeon will then make a cut approximately 3 to 5 inches long over your knee to remove the bone and tissues that are damaged. 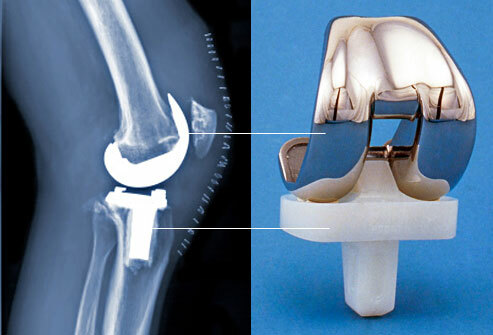 An artificial implant made of metal and plastic is then inserted into the knee and is then attached with bone cement, once the implant is in the proper place. The surgeon will then close the wound with stitches. 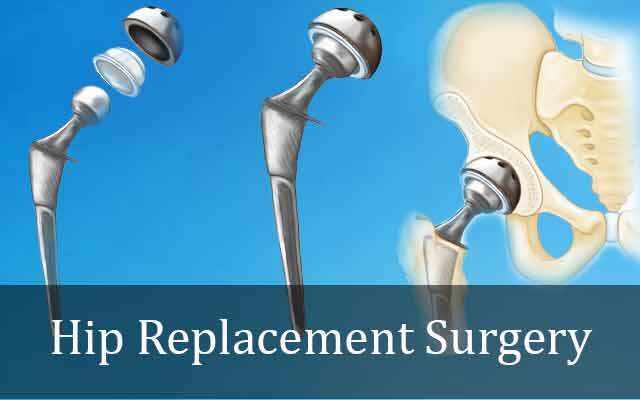 Total Hip Replacement surgery is a procedure where the surgeon will remove the painful and diseased hip joint, and replace it with an artificial joint (prosthesis) made up of metal and plastic. A surgery is suggested only when all the other treatments such as painkillers, weight loss and exercises fail to provide relief from the pain. The patient is able to perform daily activities such as walking and climbing stairs with ease. Total hip replacement surgery can be either performed by using a standard approach or by using the minimally-invasive technique. They can be differentiated on the basis of the size of the incision made during both the procedures. Usually, the surgeon suggests general anaesthesia during the total hip replacement surgery to put the patient in a temporary deep sleep and does not feel pain. A spinal anaesthesia may also be given as an alternative, in order to help prevent pain. After the patient is under the influence of anaesthesia, the surgeon will then make an incision along the side of the hip joint and remove the damaged part by cutting it out with a surgical saw. Now, the implant is being inserted into the thighbone and is then attached to the remaining bone with the help of bone cement. The surgeon then closes the wound with stitches. Unlike in Total Hip Replacement Surgery where both the ball and the socket part is replaced with an artificial implant, in Hemi Hip replacement surgery, only the ball part of the joint is removed and is then replaced with the prosthesis. 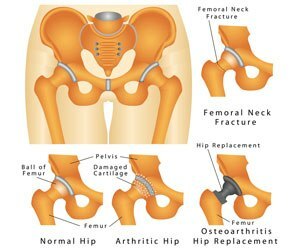 A hemiarthroplasty or hemi hip joint replacement surgery is usually performed when the acetabulum is relatively healthy with only little damage due to arthritis. The surgeon will make an incision along the side of the thigh near the hip joint after making sure that the patient is under the influence of anaesthesia and then the damaged part of the bone will be removed. The removed part will then be replaced with a prosthetic or an artificial femoral head. The surgeon will then close the wound with stitches. In comparison to Knee and Hip replacement surgery, elbow joint replacement is a little uncommon. 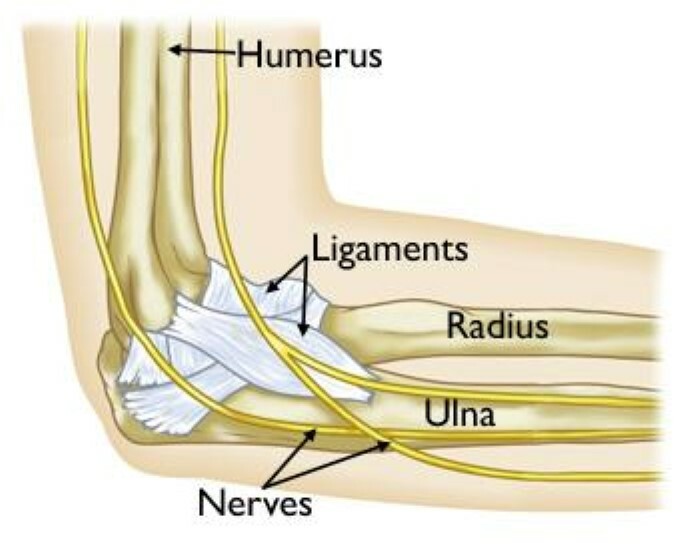 Since elbow consists of several moving parts, the surgery to replace it becomes a little bit complicated. 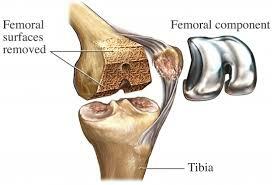 This surgery is generally performed when the elbow is damaged due to traumatic fractures or arthritis. Surgery is suggested only when all the other treatments like pain medications, and exercises, fail to provide relief from pain. Total Shoulder Joint Replacement Surgery is suggested for those patients who are suffering from osteoarthritis or rheumatoid arthritis or have suffered a severe trauma from a shoulder fracture, and only after all the other treatments such as physical therapy and pain medications fail to provide relief from pain. The goal of this surgery is to provide relief from pain and to improve the motion, strength and function of the shoulder joint. The patient is given general anaesthesia or regional anaesthesia and then the surgeon will make an incision at the front of the shoulder joint. The surgeon then removes the damaged part of the humeral head by using surgical saw and replaces it by inserting an artificial implant made of metal and plastic in its place. The prosthetic is then attached to the bone with the help of bone cement. The surgeon will then close the wound by stitches and clean it with sterile saline solution before bandaging it. The stay in hospital will be of 3-4 days after the surgery. Patients are advised to start physical therapy within a day or two to keep their new shoulder joint working. Reverse Shoulder Joint Replacement surgery is a complex process which was specifically designed for a problem called rotator cuff tear arthropathy. 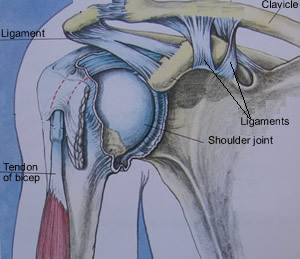 Generally in the surgery, the joint is replaced in such a way that resembles the anatomy of the shoulder joint which means that a plastic cup is fitted into the shoulder socket and a metal ball is attached to the upper arm bone but in reverse shoulder joint replacement surgery, the places of metal ball and plastic cup are switched, that is, the metal ball is attached to the shoulder socket and cup is fitted into the upper end of the humerus. In a healthy shoulder joint, the rotator cuff muscles are responsible for the range of motions of the arm. So, if a person has a large rotator cuff tear or cuff tear arthropathy, these muscles no longer function. Hence, the reverse shoulder replacement surgery is performed because then it will rely on the deltoid muscle rather than rotator cuff to provide position and power to the arm. The shoulder is made up of three bones: humerus (the upper arm bone), shoulder blades or scapula, and the collarbone (clavicle). The ball (head) of the upper arm bone (humerus) fits into the shallow socket in the shoulder blade. 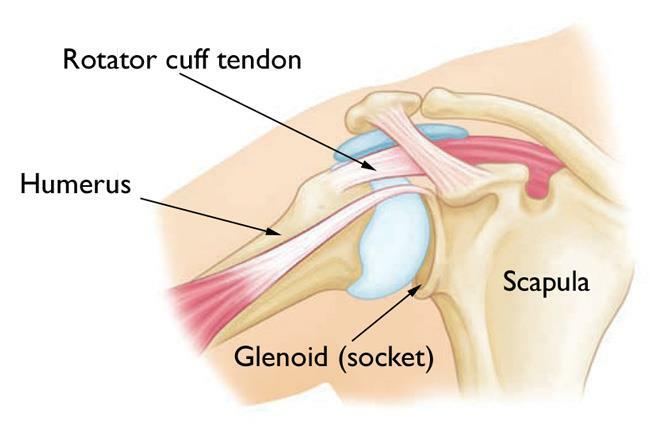 This socket is known as the glenoid. 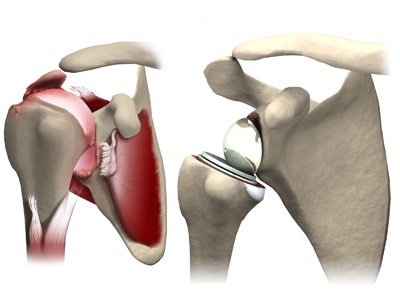 Surgeons generally suggest the partial or hemi shoulder replacement rather than total shoulder replacement surgery for patients who have a good amount of cartilage remaining on their glenoid bone, or younger patients who are at a risk of loosening of their glenoid component due to the increased physical activity. In hemi shoulder joint replacement surgery only half or part of the shoulder joint is resurfaced which can be required because of three reasons: the first one is the replacement of ball because of the damage caused by shoulder arthritis, the second one is rotator cuff tear arthroplasty, where the total shoulder replacement would fail over time, and lastly, due to the humeral fracture where the ball is damaged but the socket is not. Trauma surgery is the branch of surgical medicine that focuses on the treatment and care of injuries caused by an impact or trauma. When a person gets injured by experiencing the blunt force of an impact such as that of a car crash or a wound by a gunshot, it is considered as a ‘trauma’. Trauma injuries can affect the internal organs, bones, and the brain among many others. It can range from minor trauma (hitting the hammer on your finger by accident) to a major trauma (a car crash). The trauma surgeon is but one part of the surgical team involved in dealing with a severe trauma case such as that of a catastrophic car crash. The team includes general surgeons who help in repairing internal abdominal injuries, vascular surgeons who help in repairing the damaged blood vessels, orthopaedic surgeons who help in repairing broken bones, and other specialized surgeons (neurosurgeons, cardiothoracic, maxillofacial, etc.). Failure to provide immediate trauma surgery in cases where it is required can arise a lot of complications which includes amputation of the limb, damaged internal organs, neurological deficits, and in some cases the person might die of those complications. 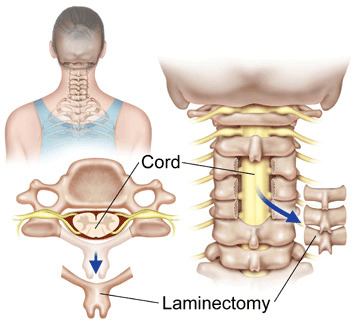 Laminectomy of spine surgery is also known as decompression surgery. It is done to create a space by removing the back part of the vertebra that covers the spinal canal (which is called a lamina). It is performed to relieve the pressure on the spinal cord or spinal nerves by enlarging the spinal canal. This pressure is most commonly caused by the bone spurs within the spinal canal, which can occur in people who have arthritis in their spines. Discectomy, on the other hand, is a surgical procedure that is done to remove the herniated disc in the spine, which is responsible for causing irritation or even compressing nearby spinal nerves. This surgery is helpful in case of pain that radiates down your arms or legs rather than an actual back pain. It is performed to relieve the pressure on the spinal nerve due to a herniated disk. When the soft material inside the disk pushes out through a crack in the tough exterior, it is referred to as the herniated disc. Microdiscectomy of spine is a surgical process which is sometimes called decompression of the herniated disc in which the pressure on the spinal nerve root is relieved by removing portions of the herniated lumbar disc. 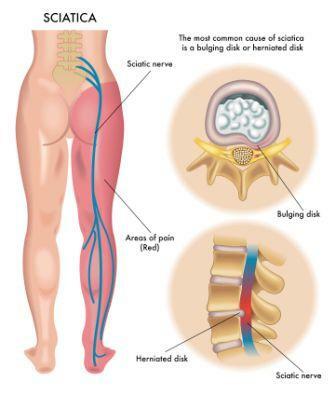 This surgery is more effective in relieving leg pain (also called sciatica) rather than lower back pain. Patients will feel a significant amount of relief after the surgery and it will take weeks or months for the nerve root to fully heal and for any numbness, weakness, or other neurological symptoms in the leg or foot to subside. Microdiscectomy can be done with a much smaller incision and minimal tissue damage since it uses the minimally invasive techniques. The surgery is performed after the patient is asleep under the influence of general anaesthesia. A small incision will be made directly above the herniated disc and the surgeon will remove the small portion of the bone which is protecting the nerve root. After that, the surgeon will remove the damaged herniated tissue and close the incision with stitches. 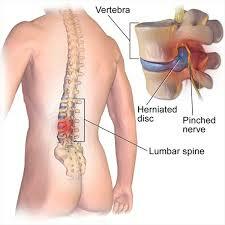 The removal of herniated disc relieves the pressure on the spinal nerve which was the cause of leg pain. A spine fusion surgery is a procedure which connects two or more vertebrae permanently by placing a bone or bonelike material within the space between the two vertebrae. It is performed to reduce pain, correct any kind of deformity, or to improve stability. Since it immobilizes parts of your spine, so, the movement of spine becomes limited. Sometimes metal screws, rods, and plates are also used to hold the vertebrae together, so that, they can heal into one solid unit. This surgery might be suggested for you if you are unable to get relief from the back pain even after taking medication, physical therapy and other treatments (like steroid injections). Spinal fusion may be able to relieve the pain caused due to certain diseases such as Degenerative disc disease, spinal stenosis, Scoliosis, Spondylolisthesis, herniated disc, fractured vertebrae, and tumor. 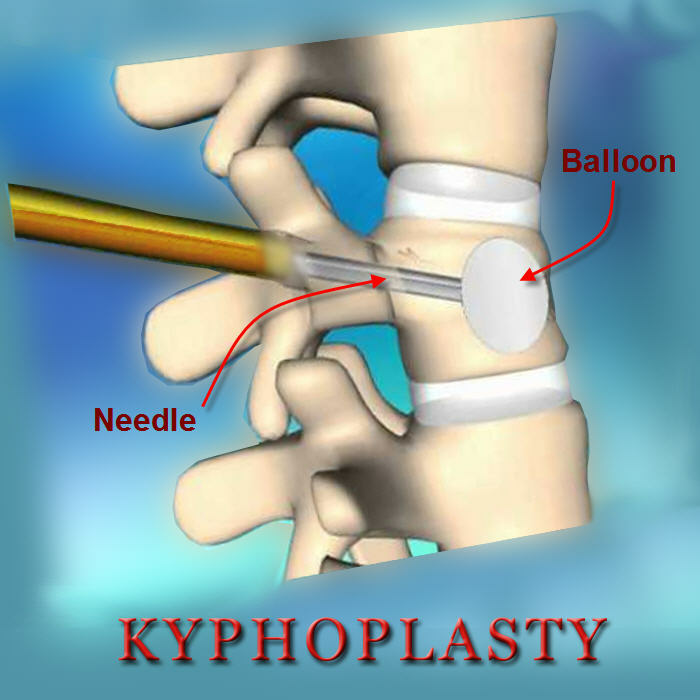 Vertebroplasty surgery is done to stabilize the spinal fracture and to prevent the pain caused by the fracture. Vertebroplasty is taken into account a minimally invasive operation as a result of the procedure is completed through a little puncture within the patient's skin (as hostile AN open incision). A typical vertebroplasty procedure, delineate below, sometimes takes concerning one hour to complete. The patient is treated with anaesthesia and lightweight sedation, sometimes in AN x-ray suite or OR on AN patient basis. A diagnostic test needle is target-hunting into the broken os below X-ray steering through a little puncture within the patient's skin. Specially developed acrylic bone cement is injected besieged directly into the broken os, filling the areas at intervals the bone - with the goal of making a sort of internal forged (a forged at intervals the vertebra) to stabilize the bone. The needle is removed and also the cement hardens quickly (about ten minutes), congealing the fragments of the broken os and helpful the bone. The little skin puncture is roofed with a bandage. Shortly when the cement has hardened, the patient is unengaged to leave the medical facility and might head home a similar day. Patient’s square measure sometimes suggested to not drive themselves home the day of the procedure and will get to pay the night at a building within the space if they need to travel a protracted distance. If the patient desires any observation when the procedure, is especially frail, or won't have help reception, a brief keep within the hospital is also suggested. Pathology with ulterior os compression fractures (VCFs) is associated more and more common downside in western countries. This systematic review tries to update the proof base for Balloon Kyphoplasty (BKP) and Vertebroplasty (PV) within the management of VCFs. We've analyzed sixteen reviews and ninety-seven articles. The bulk of studies compares typical medical management of VCFs to patients undergoing BKP or VP. 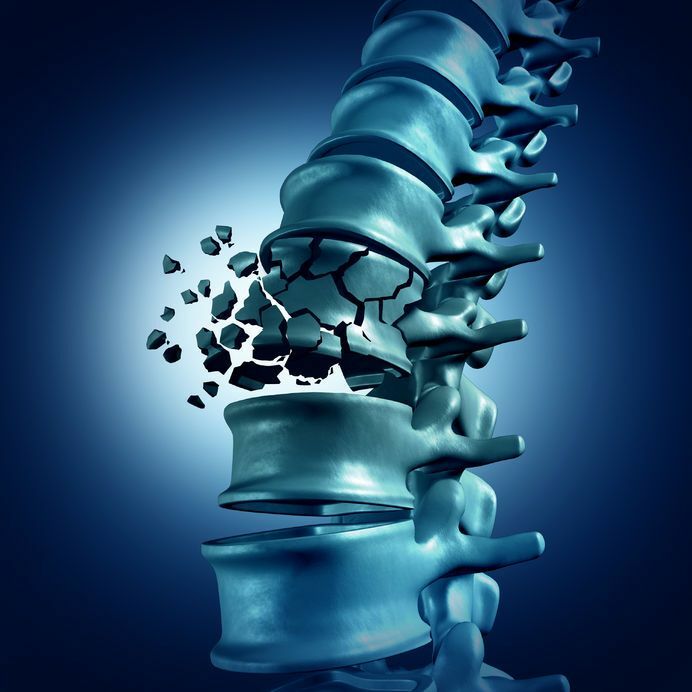 We tend to discuss choice criteria, techniques, potential complications, benefits and downsides, and results of every technique, recognizing that prospective, randomized controlled studies area unit necessary to objectively compare these techniques BKP may be a safe and effective methodology for osteoporotic spinal fractures with middle column compromise however while not medical specialty deficit. Spontaneous remodeling of the epithelial duct additionally happens once BKP.